I built this beast to replace my dying MacBook Pro 13 inch. Its main use is producticity with some gaming aswell. The parts all arrived in time and I got the GTX 1060 for 260 on a second hand site. 1) The firend who plugged the cables into the PSU didnt plug them into the right slots so we sepnt about 1 hour wondering why it didnt boot. All in all I am very happy with the PC. “A bit”? He went way overboard lol. I wanted to future proof it but I guess I over did it. Hello! Amazing build by the way - nice graphics card choice, wish I could have done such a good job on my first build :P . I do have a question though - I have had a problem with this exact motherboard and processor combo when building a PC for a friend. 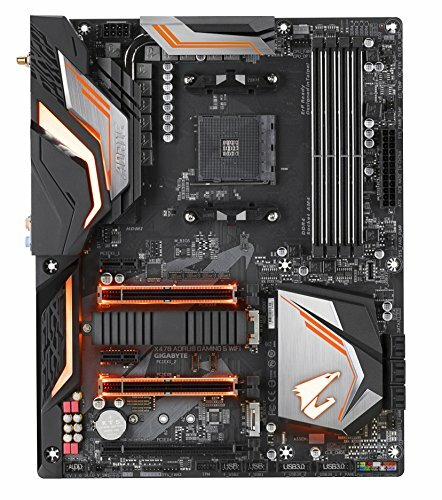 The motherboard's troubleshooting light for the CPU is bright red, but all rgb lighting on the board is silent. Did you run into anything while you were building? Thank you for your time. Yes I ran into the same problem while I was building. The problem turned out to be that I had plugged the display into the motherboard rather than the Graphics card, just re plugging the HDMI into the graphics card fixed it. I hope this helps. Nice build, going to doing one somewhat like this for Christmas and I am also going to try and go with a W/B colour theme. Happy Building! Thank You :) and good luck on your build.